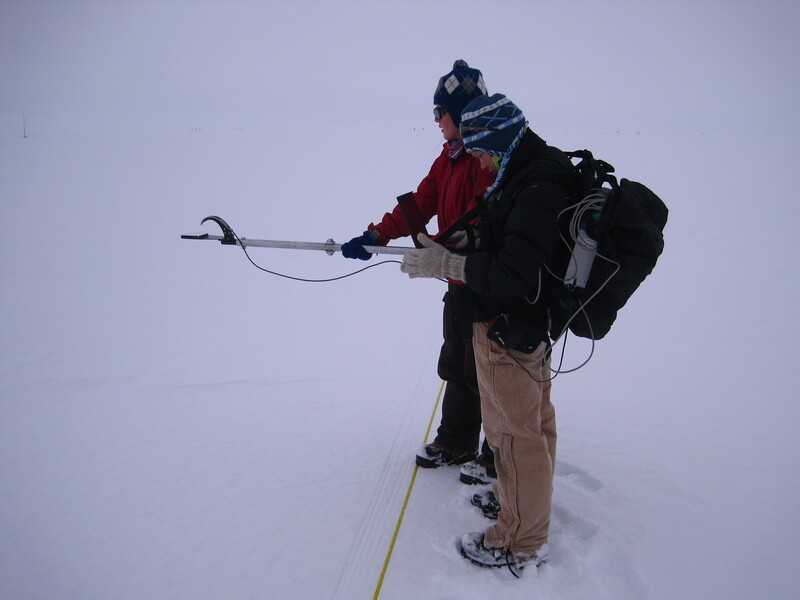 The Greenland Ice Sheet holds many stories of past climate. 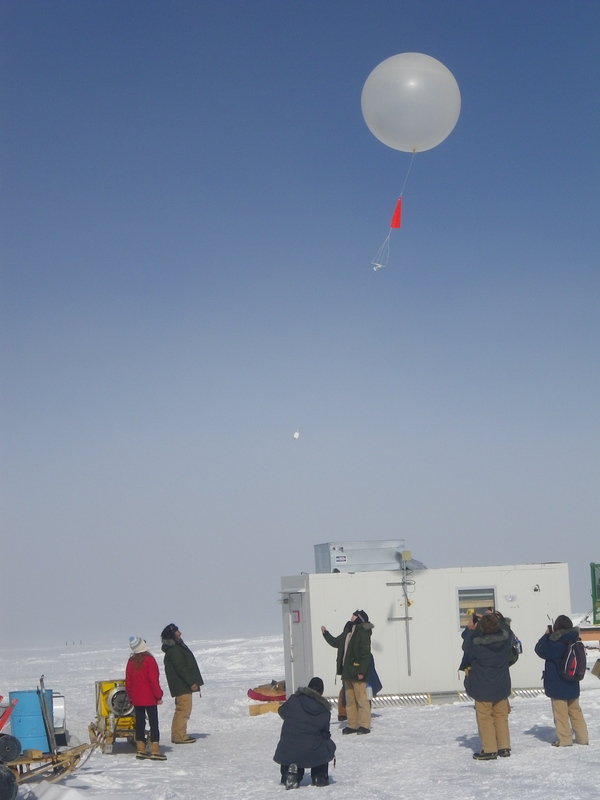 Summit Camp, in fact, was established for scientists to drill two miles down into the ice and pull out an ice core that tells a story of warming and cooling events from the past 100,000 years. 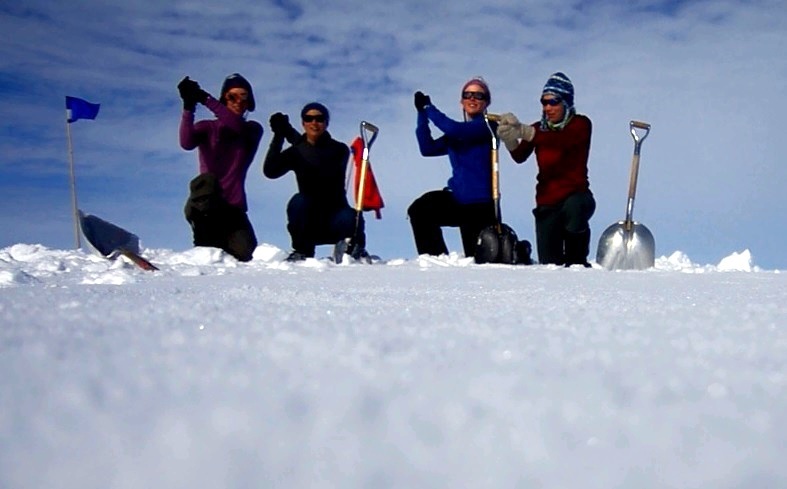 Ten years and 1 week after the completion of this GISP2 drilling operation, the IGERT C4 gals made our way up to Summit and uncovered a new story held in recent ice. In July of last year, as you may recall, 97% of the Greenland icesheet experienced surface melting. 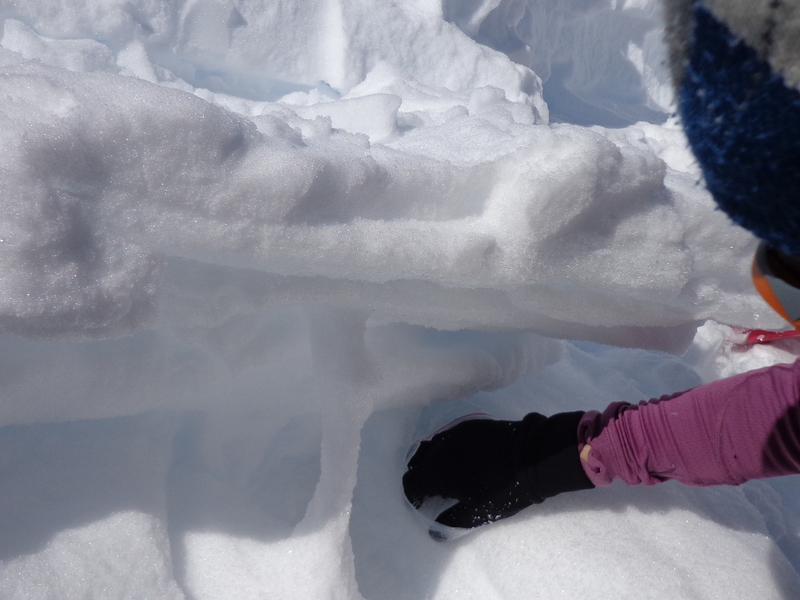 While much of this melt refroze on the surface, some melted snow flowed below the surface to form frozen fingers poking down through layers of previously fallen snow. 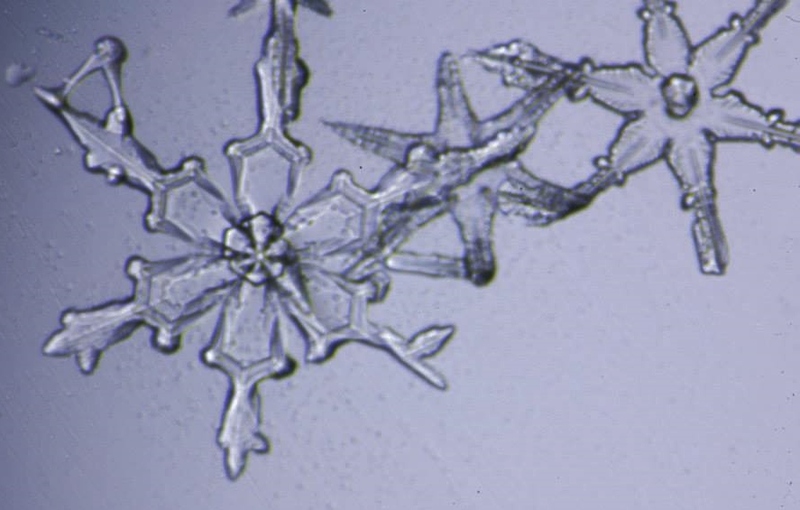 The frozen fingers, which we call vertical flow channels, are like icicles that are suspended in snow rather than air. 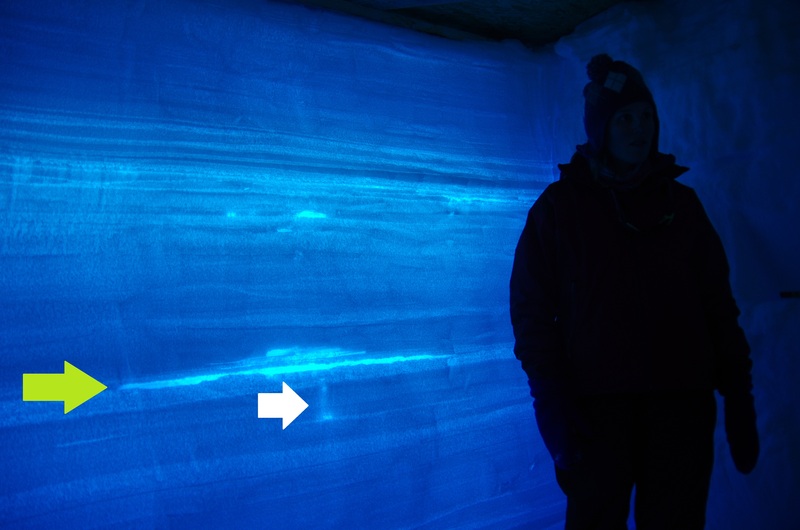 A trip to a backlit snowpit introduced us to the melt layer and one vertical flow channel. 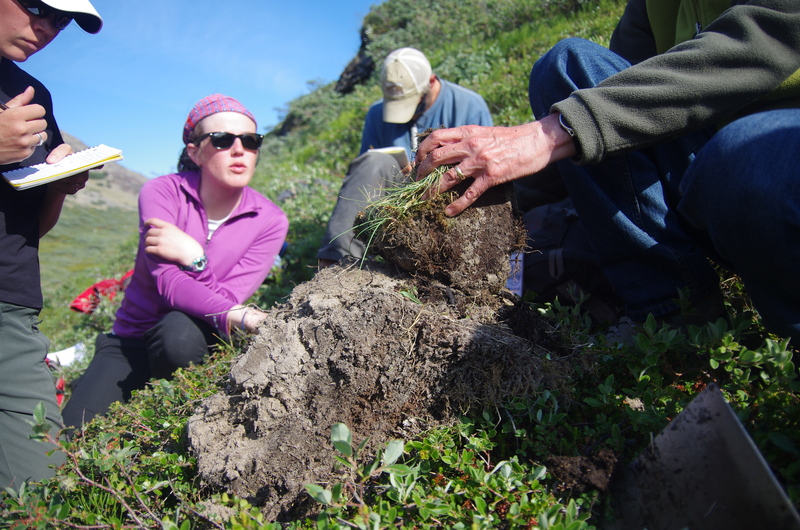 These features were buried 75 cm below the surface by a year’s worth of snow. Unlike surrounding layers, the melt layer and the vertical flow channels were icy, clear, and hard; easily distinguishable with the naked eye or the touch of a finger running down the snow pit wall. 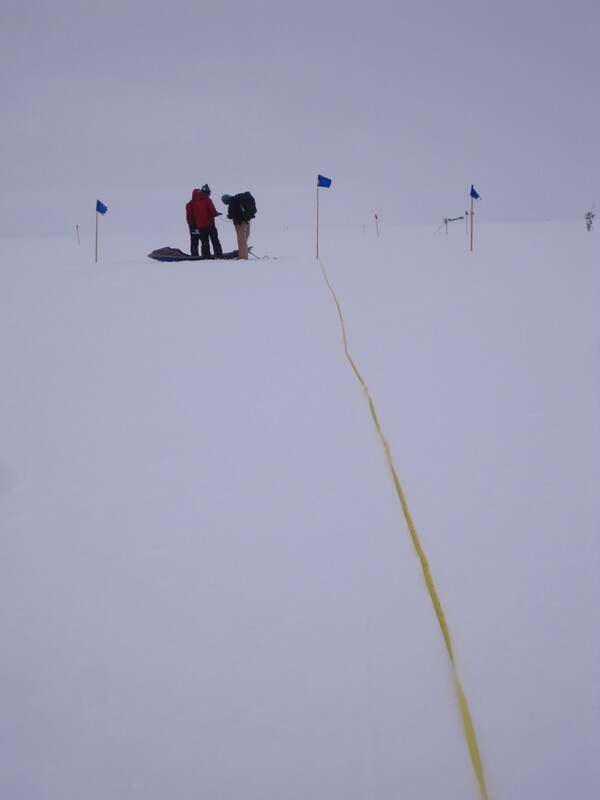 It is important for scientists to study these icy features to better understand the physics of water flow through snow and to understand how their properties may affect the information that satellites and radar collect about the ice sheet. 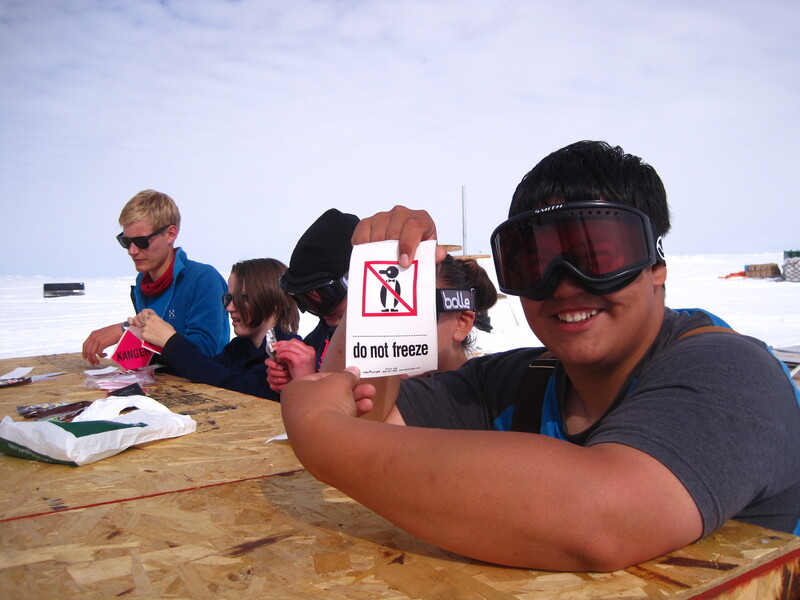 Alden showing us the snow pit. The green arrow points to the melt layer, the white arrow points to a vertical flow channel (i.e., finger). 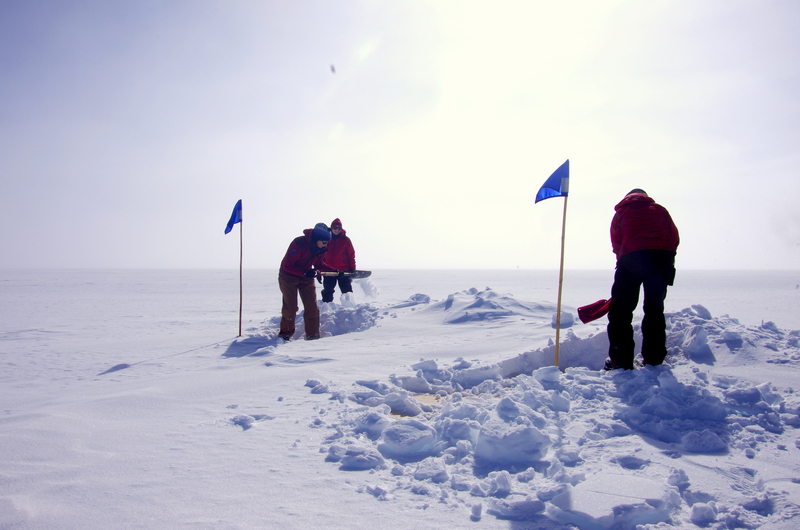 Our mission was to dig under the frozen melt layer and excavate any ice fingers we could find. We were like archeologists, hoping to discover arctic artifacts. We first uncovered the snow pit that Alden had dug earlier in the season. 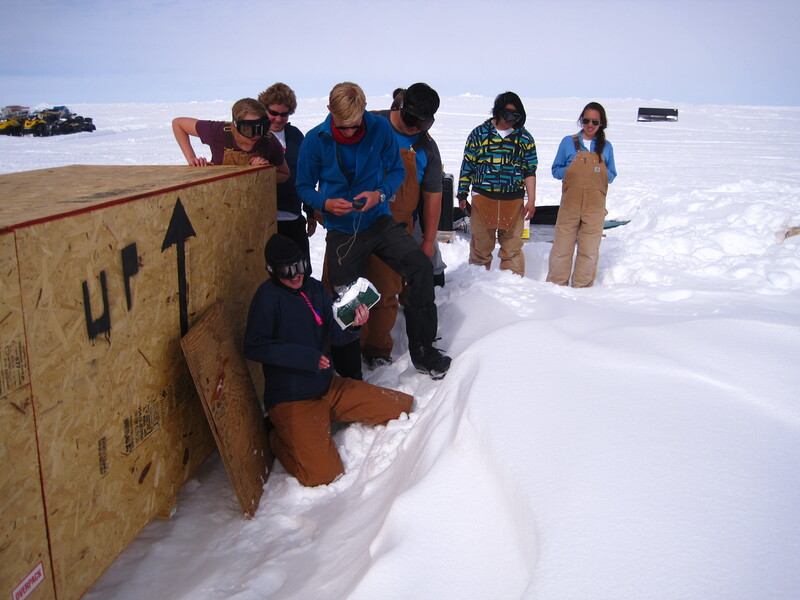 Removing the snow from plywood that covers the snow pit. 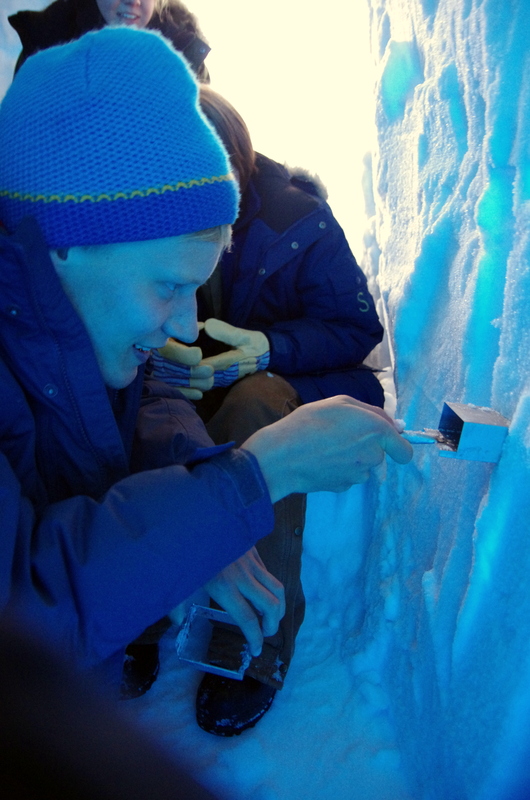 Then Alden and Kristin graphed the stratigraphy of the snow pit layers to document the depths of the melt layer, winter and summer snow, and wind crusts. With our hands protected by waterproof mittens and zipbloc bags, we swept away the snow under the melt layer, feeling for any icy vertical flow channels. Kristin and I found several frozen fingers right away and started excavating by delicately brushing out the snow around them until we reached their icy bottom tips. 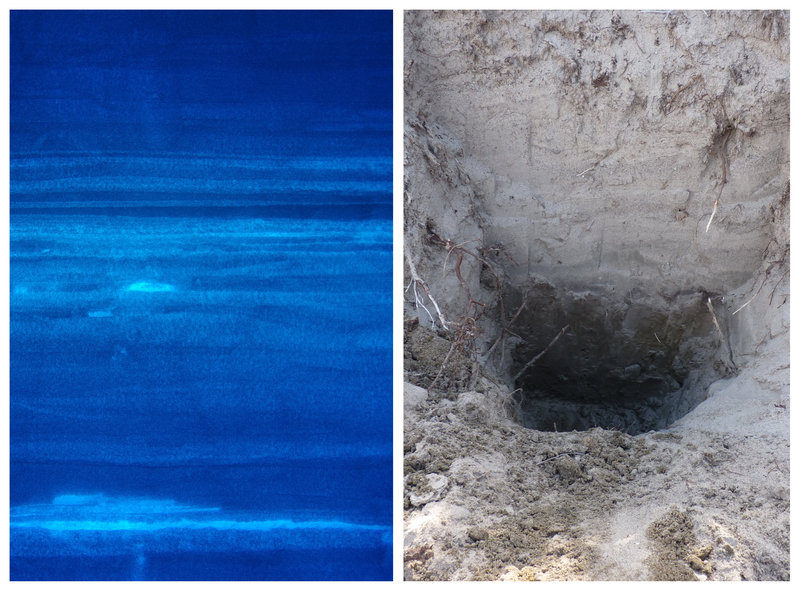 It took me 2 hours to excavate a beautiful flow channel that was one-half meter long. We measured the fingers, recorded their position, and made notes about their form. 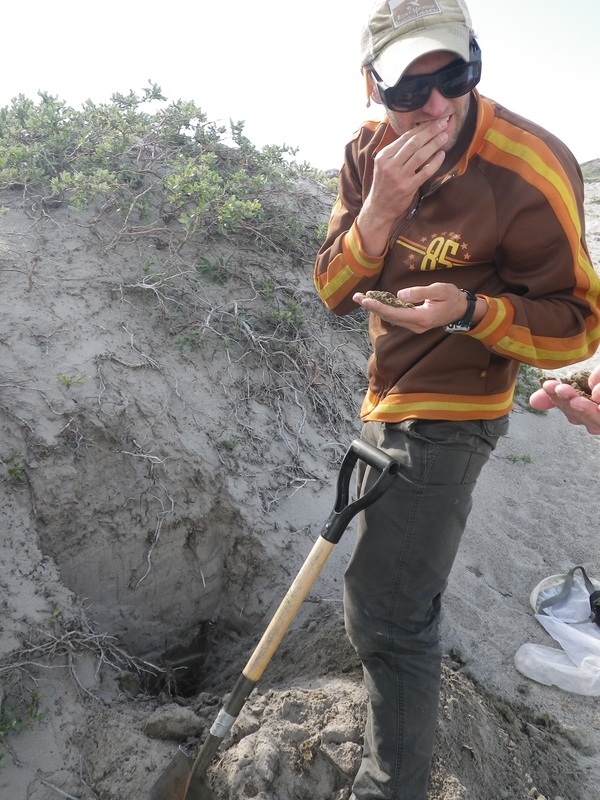 Carefully excavating a finger, which I nicknamed ‘Precious’. 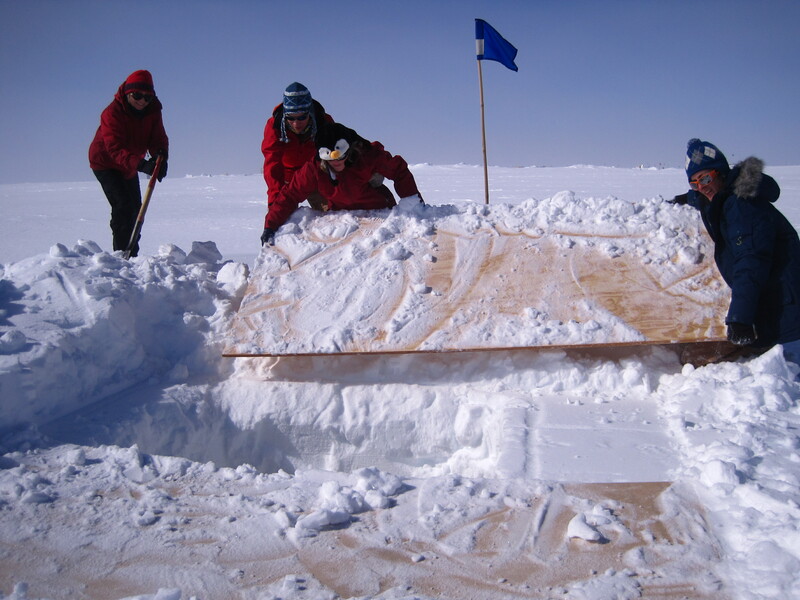 Alden and Ruth worked on a side of a snow pit that seemed to have a different flow pattern. 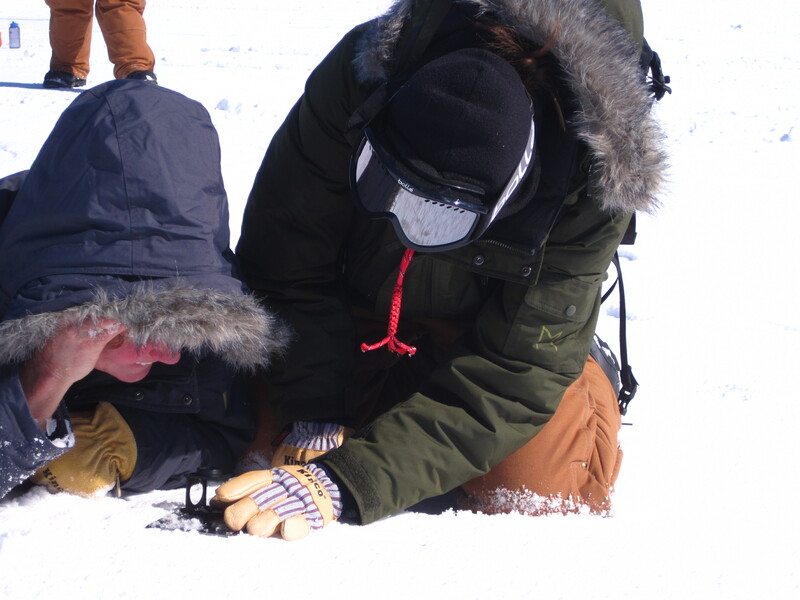 They diligently dug back through 1 meter of snow but didn’t uncover any frozen fingers. 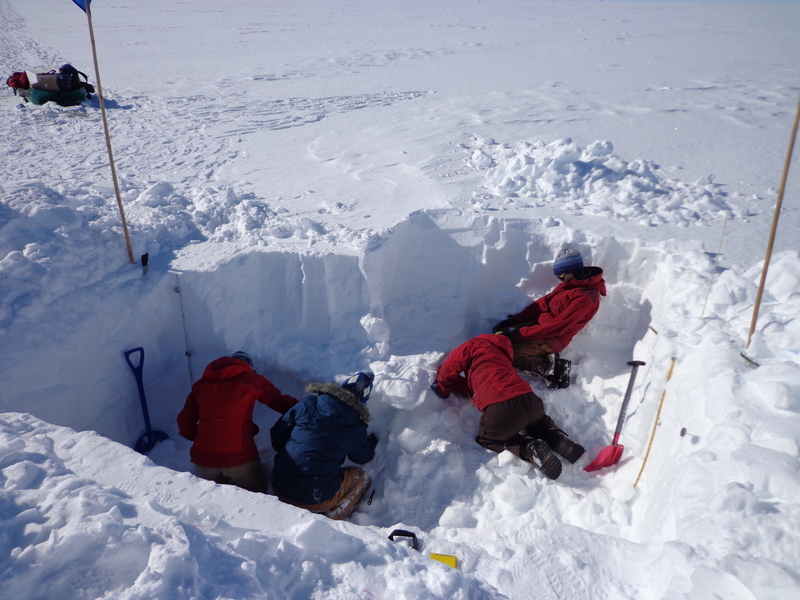 While Kristin and I chip away at our excavations, Ruth and Alden continue to dig back, looking for vertical flow channels…the snow pit is getting larger! As we reached the corner of our site, Mary found a behemoth vertical flow channel. We named him Hector II. Tired and cold, Ruth and Alden quickly sawed, shoveled, and pried Hector II out of the snow so that we could return back to camp. After dinner, Mary, Ruth, and I excavated Hector II ex-situ and loaded him and our other frozen fingers into an insulated ice core box. 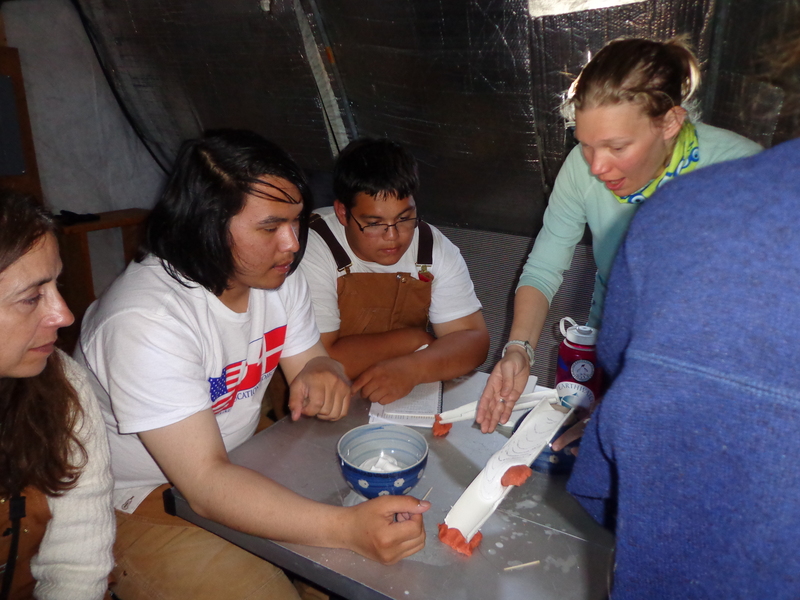 We covered the fingers with cardboard, snow, and icepacks to make sure that they would stay frozen on their trip back to Dartmouth College. 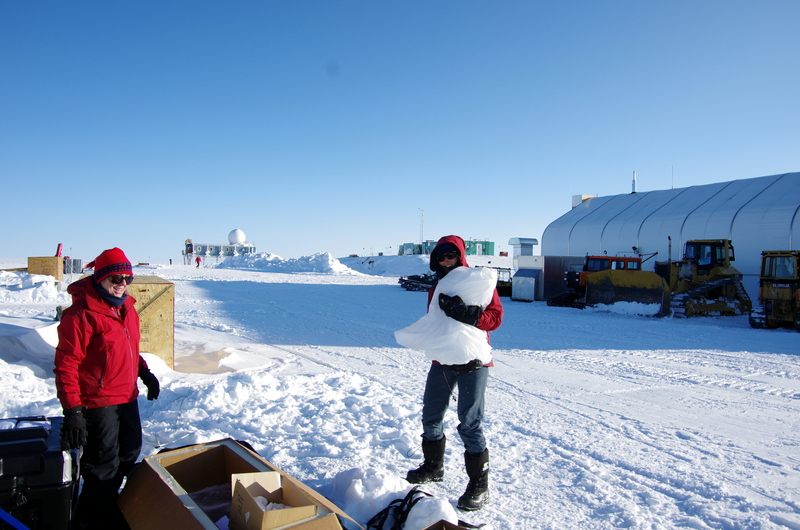 Ruth carrying Hector II – all wrapped up – to the ice core box. We made one last trip to the snow pit…this time on a snow mobile. I was particularly excited about this arrangement. 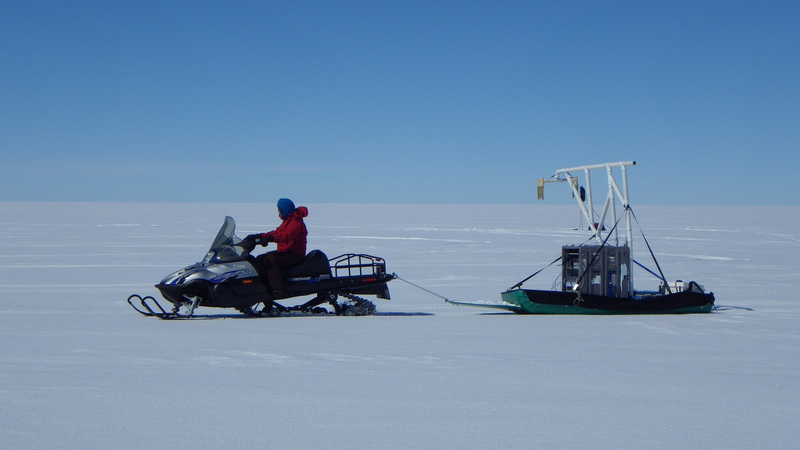 We blazed across the ice sheet at a whopping 5 miles per hour, filled in our digging site, and recovered our tools. 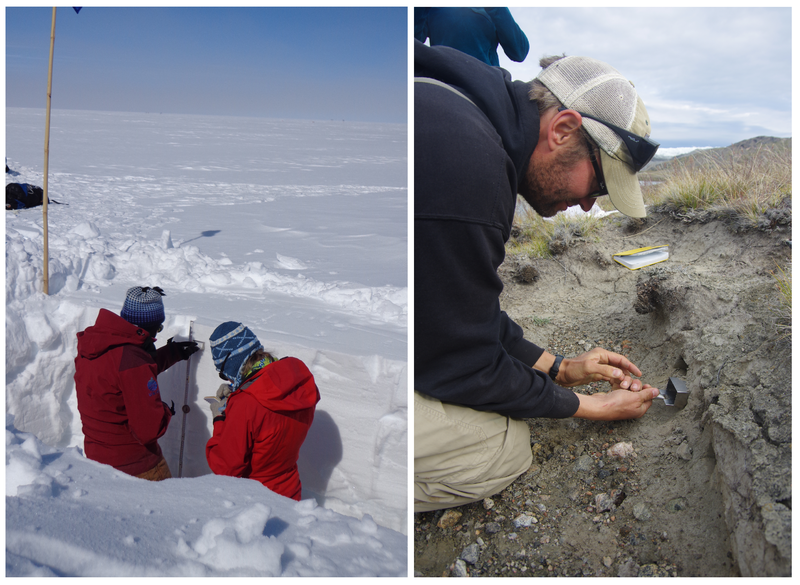 Although the work was difficult, we were grateful to be at Summit a year after the surface melt, when the ice fingers were still within reach of a shovel and the hands of four motivated IGERTs. 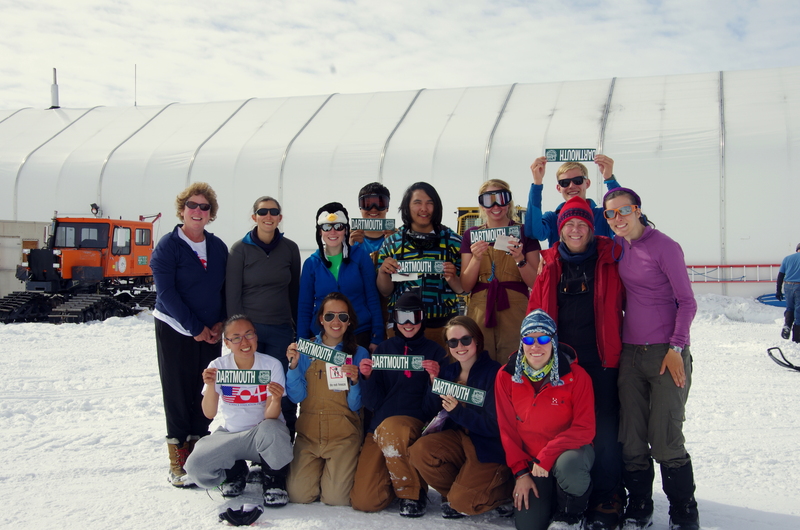 After a 2 hour C-130 flight from Kangerlussuaq, the ladies of C4 have arrived at Summit! 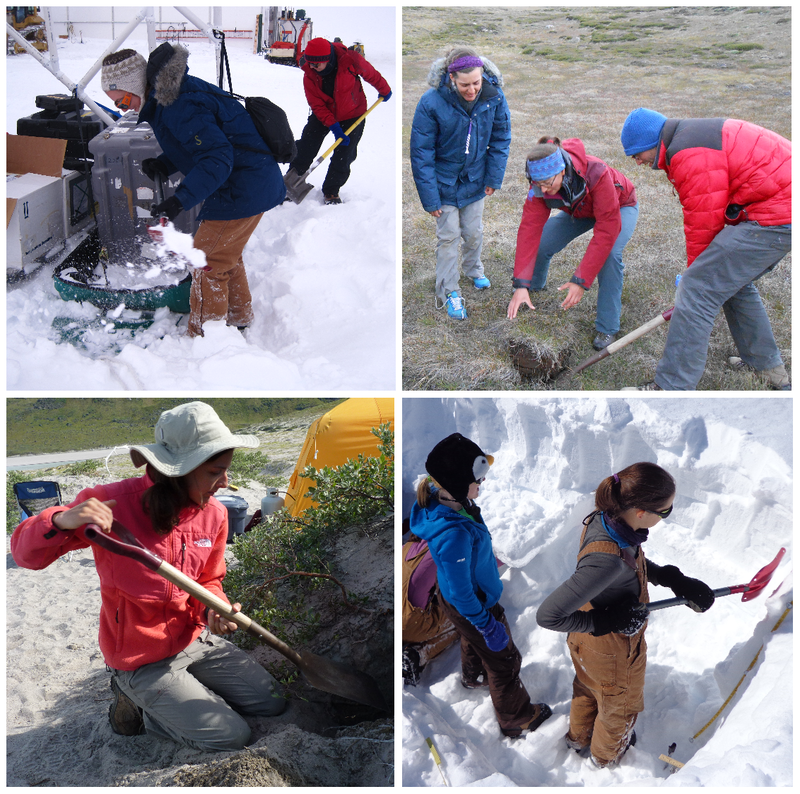 We were greeted by the incredibly hospitable staff of scientists working at the base… and some windy and cold weather conditions. Panoramic view inside the LC-130 flight- Cargo on one end, passengers on the other. 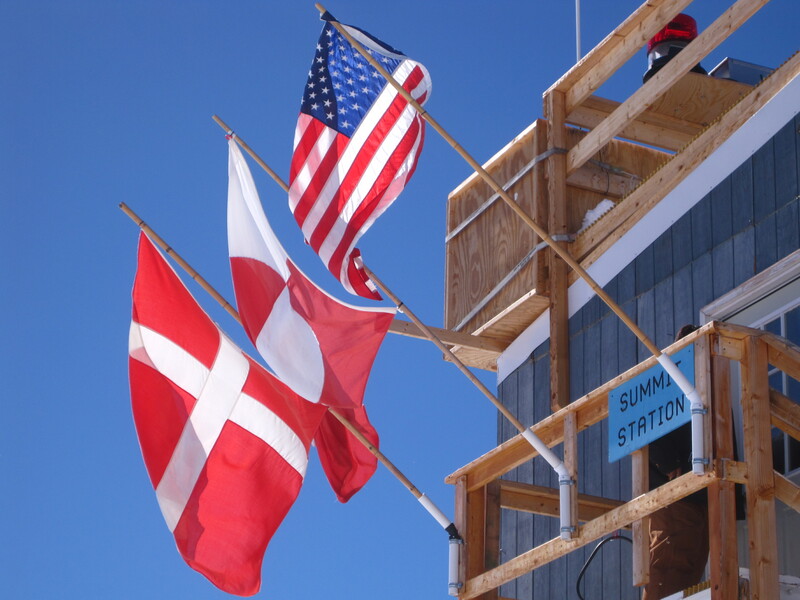 Summit Station is a research station located on the summit of the Greenland Ice Sheet (~10,500 ft) and was built in 1989 to support the GISP2 (Greenland Ice Sheet Project Two) ice core drilling project. The station consists of the “Big House”, a big blue building on stilts, the “Greenhouse”, a living facility for the more permanent scientists, “tent city” for all of us passing through and those preferring a crisper sleeping environment, and a few other science support and instrument buildings. 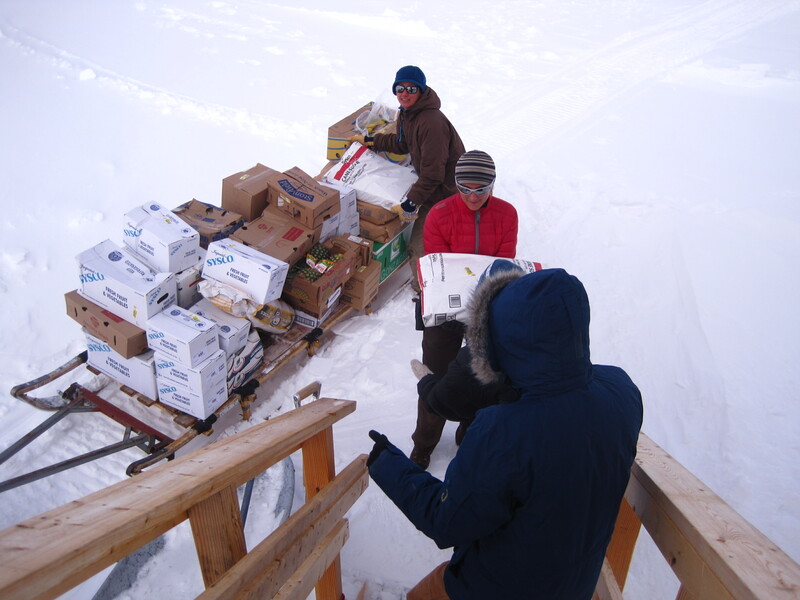 The first thing we did upon arrival at Summit was to help bring all the “freshies” (fresh produce) into the Big House that came with us on our flight. Summit has a reputation of having fantastic food– this year was absolutely no exception. 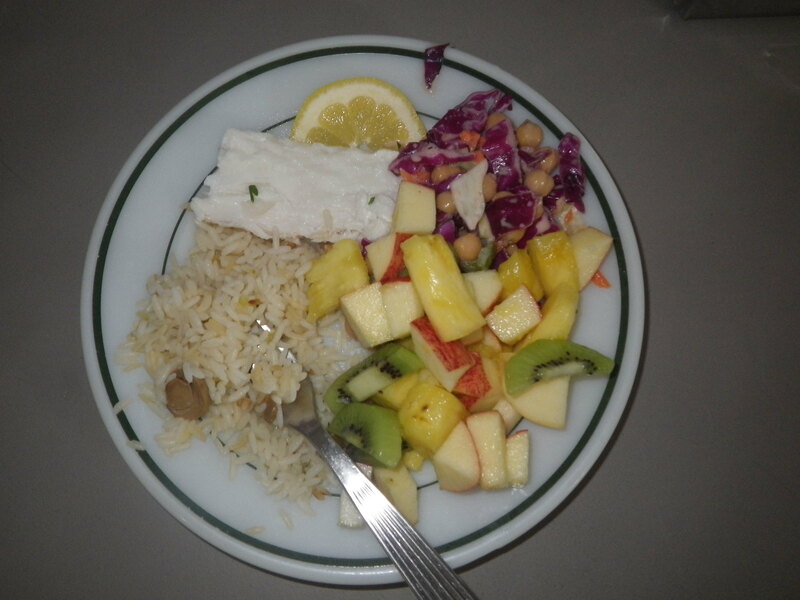 Kathy (our very talented cook) created some incredible meals… hopefully we’ll be able to replicate some of her recipes later on in the field! 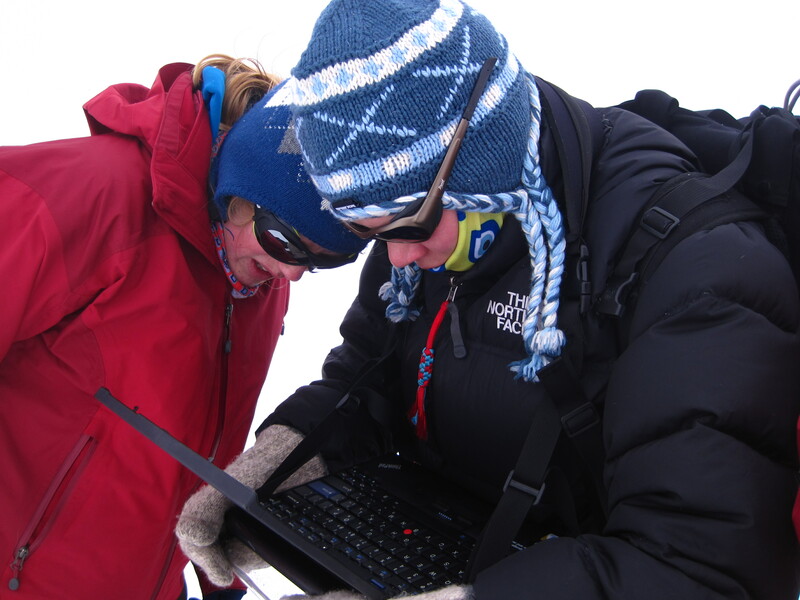 Since Summit Station is at ~10,500 feet and we had just come from sea level, most of the first day was spent trying to limit our physical activity and acclimatize to the lower levels of oxygen. Clearly hiking and digging snow pits were out of the question, so we did the next best thing- volunteered as “house mouse” for the day! It’s a job that rotates around camp and the person (or people in our case) help clean dishes, wipe down tables and tidy up the Big House. After helping clean up the Big House and moving food into the kitchen, it was now time to move into our living quarters for the next few days… Welcome to “tent city”, an arrangement of 16 or so tents in the middle of the living areas. 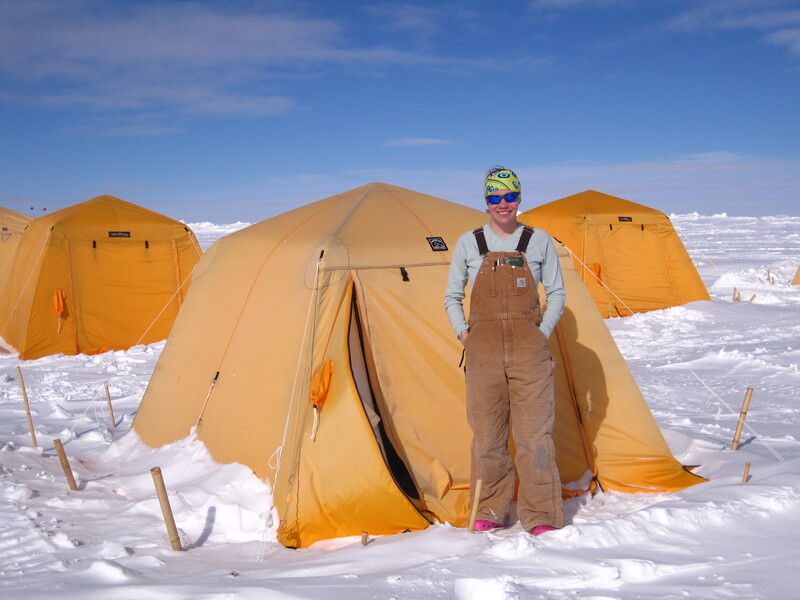 Each tent was an Arctic Oven tent and was furnished with a cot and at least 2 sleeping pads on top of that. Usually, when not at maximum capacity, everyone gets their own tent- all of us living in “tent city” were among the lucky ones to have a whole tent to ourselves. 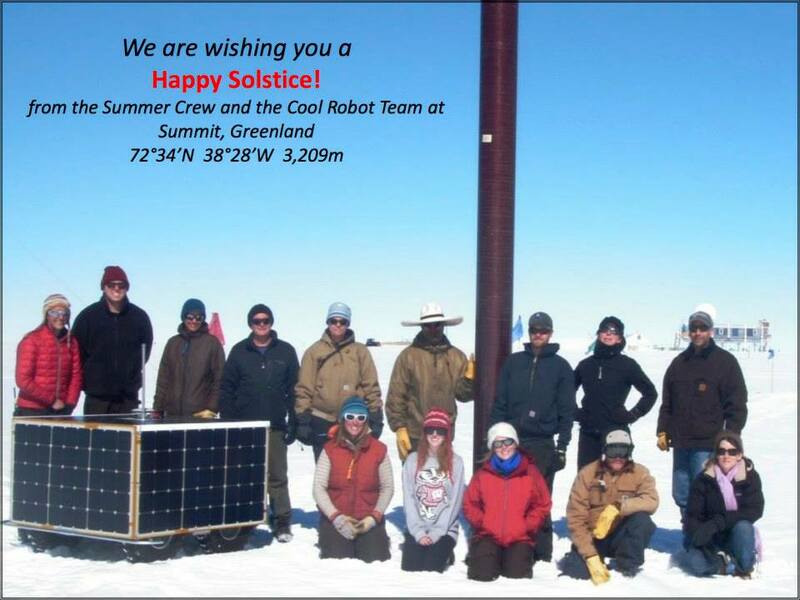 During working hours (which are quite variable here given that presently the sun does not set), everyone is out and about either working on their science or working to keep the base up and running. There are generally less than 20 people that reside at Summit Station during the summer and are needed to keep it running- but the station can hold over 55 people. 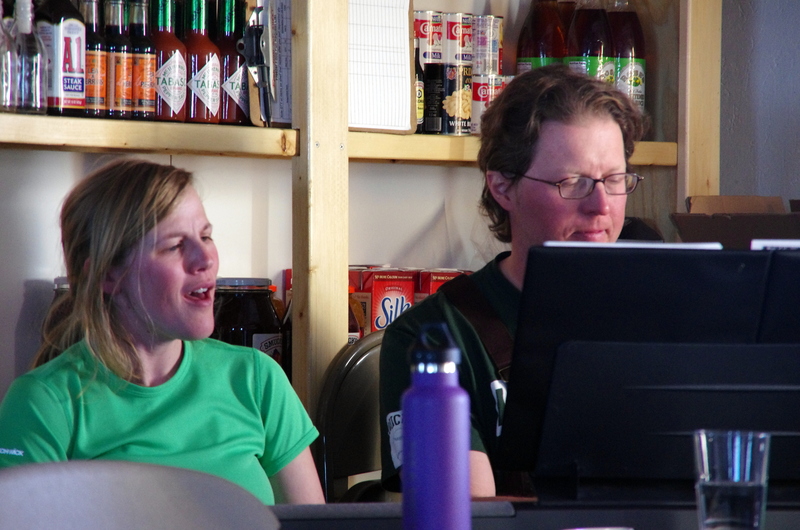 The maximum number of people at Summit during our stay was also the maximum number of people at the station this summer- we topped out at 46 people! After everyone has put in a long day of science and Summit work has been done, we’re able to relax a little bit after dinner before bed. So far some of our favorite activities have been playing some group board games or sitting in the Big House and playing some music! 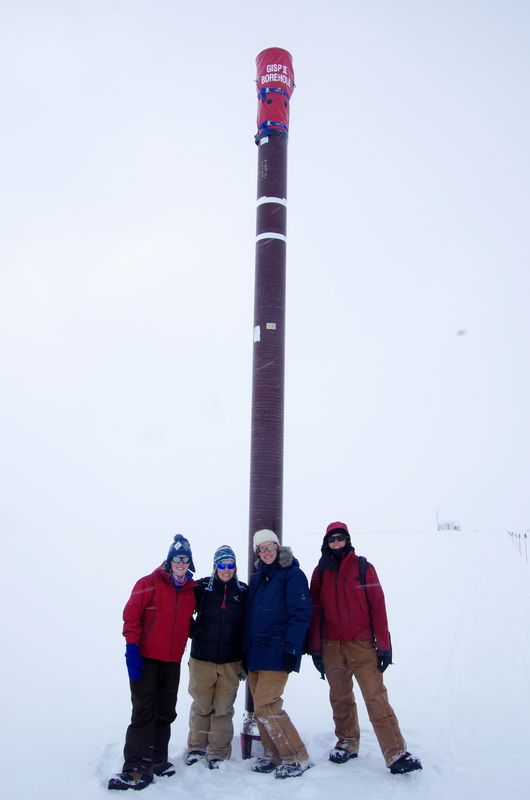 Stay tuned for more science updates from Summit- but so far it has been fantastic being up here at the highest point in Greenland! 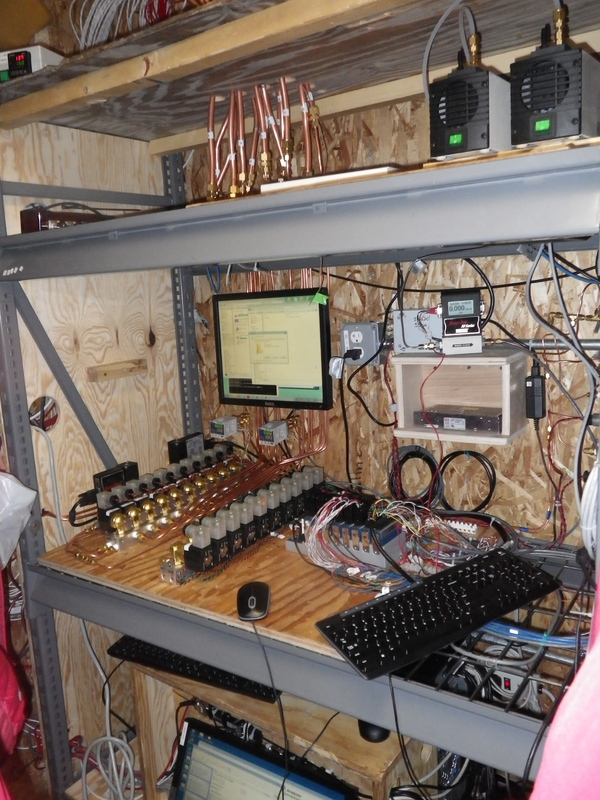 While at Summit, we keep ourselves very busy trying to accomplish science goals – making measurements, collecting samples, running tests and troubleshooting robot performance. It’s hectic and fun and exhilarating, and it all moves so quickly. 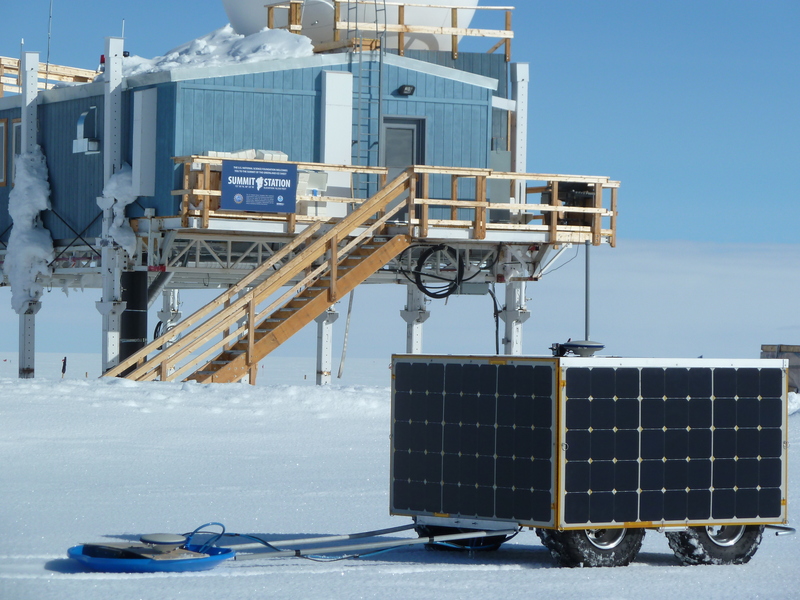 Every day, right after eating a delicious lunch and filling up on perfectly scrumptious cookies, I tow my sled of instruments down to the south end of the station. 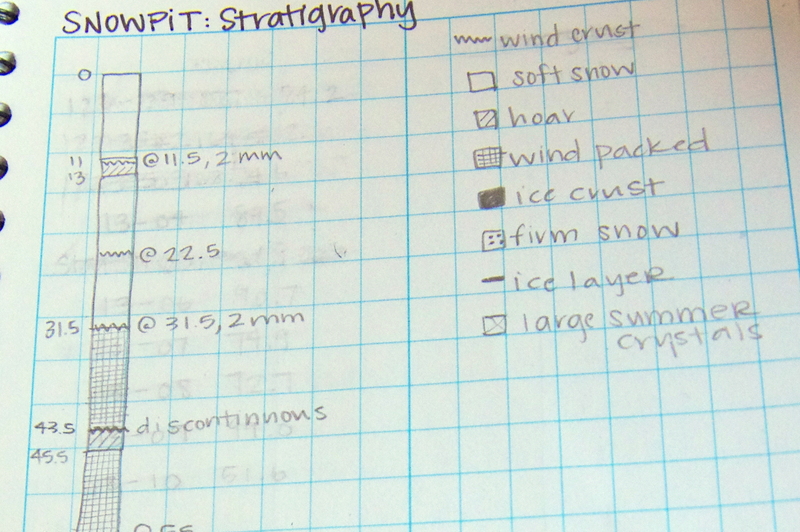 With the last building out of view, I unpack my gear and set out to make a long series of measurements. 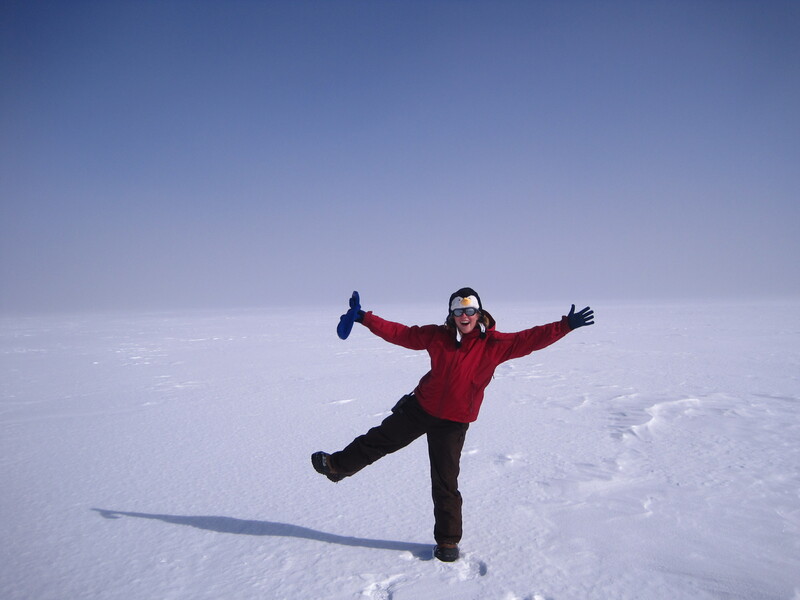 Before I get started, I remind myself to take a look out over the seemingly infinite expanse of ice and let it sink in. I have the incredible opportunity to be in such a special place doing exactly what I want to be doing. The beauty and calm of the place can be experienced by immersing yourself in the surroundings, or just by taking a look down at the delicate snowflakes that coat the vast ice surface.